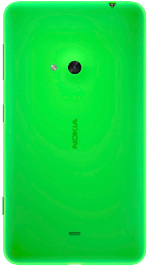 The Nokia Lumia 625 is a smartphone that comes with a 4.7-inch IPS LCD display, a 480x800 resolution, and 199ppi index. 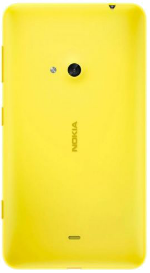 It is powered by a 1.2GHz Dual-Core Qualcomm Snapdragon 400 processor with 512MB of RAM and the Adreno 305 GPU. 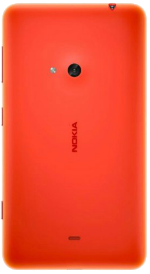 There is a built-in memory of 8GB available in the phone and a microSD card slot to expand the memory by up to 64GB. The device comes with a 5MP rear-facing camera with 1080p video recording and a secondary camera in front of the device with a VGA sensor. 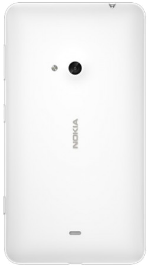 The Nokia Lumia 625 has an included non-removable Li-Ion 2000mAh battery that powers the device for up to 24 hours of talk time and 23 days in standby mode. 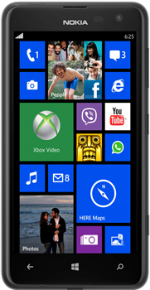 Upon unboxing, the phone runs on Windows Phone 8 OS. Color options range from Orange, Bright Green, Black, White, and Yellow.